Incorporate the Amish Tucson Upholstered Panel Bed into any suite and instantly get better sleep. This solid and comfortable frame will be able to become the perfect spot to lay down and rest at night. 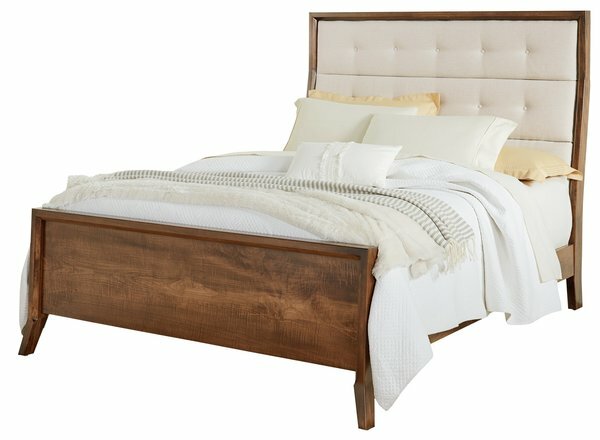 Choose for this bed to be handmade in a full, queen or king size. Select one of our premium hardwoods and your favorite finish to get your order started today. If you would like assistance placing your order or if you have any questions, please call one of our Amish Furniture Specialists at our toll free number - 866-272-6773.